Thank you for your inquiry. We have passed your message on to Eric Herod Entertainment. 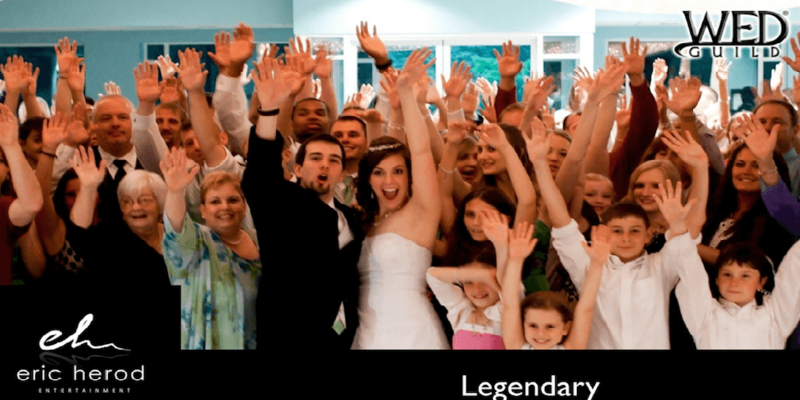 Eric Herod Entertainment helps brides and grooms create LEGENDARY weddings. 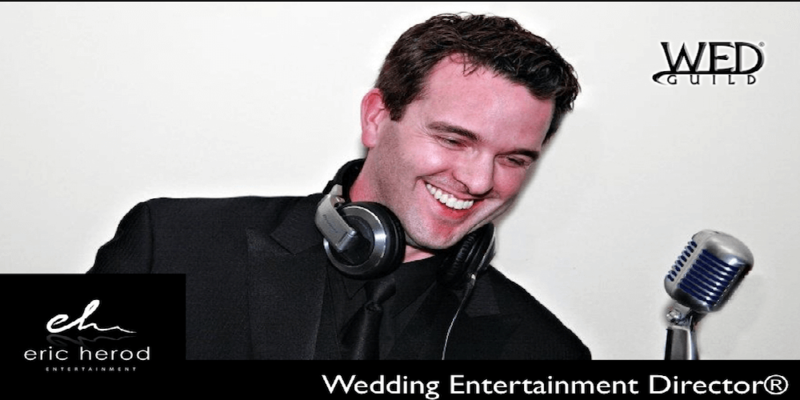 A full-time operation, the services that Eric Herod Entertainment provides are far more than standard “push and play” DJs offer. It takes time, extensive experience, knowledge and superior equipment to make dreams come true. As such, our premium services are available in exchange for fair compensation. We accept all major credit cards and PayPal payments, and offer payment plans to help you spread out the total fees over your months of planning. Services start at $1295. Currently serving celebrations in the Fredericksburg VA, Richmond VA and Northern Virginia areas. Will travel outside of VA with expenses paid. DJ, MC, Comedian, Wedding Planner and more! Eric was phenomenal! I really can't say enough good things about him. From the day that we booked with him, he helped guide us through our whole wedding. There a lot of things that happen behind the scenes that, even if you are in weddings, you have no idea about until it is your big day. Eric took care of all of that for us. He was accommodating and VERY patient with us. His signature style kept our reception moving and made all of our guests laugh, cry, and get out on the dance floor. As if all of that was not enough he was receptive to things that we needed as well as being on-time, courteous/professional, and most importantly affordable. We are recommending him to all of our friends! Eric was so fantastic, and we are so glad we decided to use him at our wedding. He is WAY more than just your typical DJ. We were able to incorporate so many personal things into our wedding day with him, and we will be forever grateful for the experience he was able to provide us. Playing great music is important, but making sure people can feel the love is the most important thing at your wedding. THAT is what Eric did! Eric was great! He poured his time, talent and passion for creating unique wedding reception experiences into our wedding reception. His personalized introductions of the wedding party and his "Love Story" that he made for us are the two highlights of the reception that people are still talking about two months later. Eric was easy to work with and went out of his way to meet all of our audio needs. Not only did he run the dinner reception, but he also put together the music at our cocktail hour which was in a different part of the venue. And he ran the sound system for the outdoor ceremony. We kept him busy and had many acoustic challenges for him and he rose to the occasion and exceeded our expectations. His fees were a little higher than some others we looked at, but his professionalism and the quality of his services were top notch. 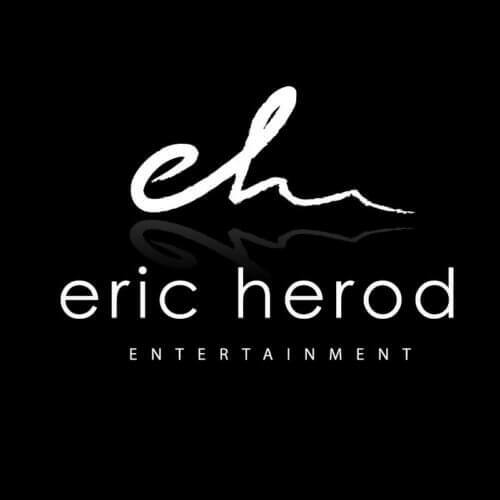 We are so happy we had Eric Herod Entertainment working with us for our wedding! Eric is dedicated, professional and makes a stressful planning process fun! 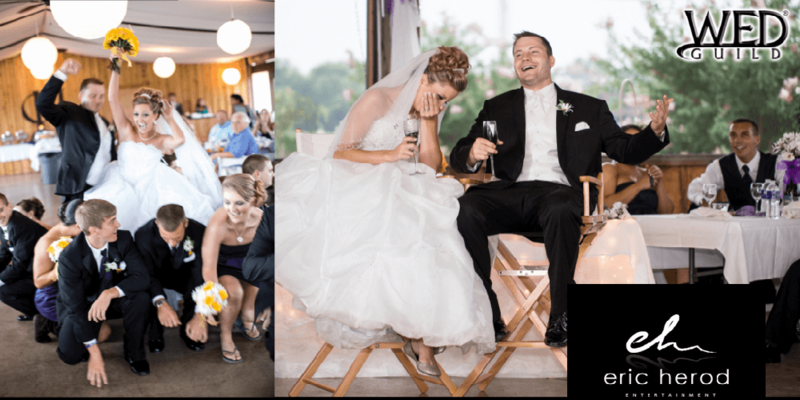 Our guests are still talking about how much fun they had at our reception, and we know it would not have been the same with any other DJ! Eric Herod was everything we wanted from a DJ and more! He was so helpful in the planning process; we had several meetings before the wedding where we nailed down the timeline for the reception, music, introductions, etc. What convinced me to book Eric for our wedding though is that he offered entertainment that was unique and personal and made all of our guests feel welcome. All of our guests have said that the most memorable part of our wedding was the "Love Story" that Eric put together. Anyway, book Eric for your wedding!! You won't regret it. You will be SO glad you chose Eric for your wedding entertainment!!! Not only was he the best DJ, but he was the best out of all our other vendors. Unfortunately, we experienced a lot of difficulty and poor customer service with some of our other big vendors so it was refreshing to have Eric care so much about our day and be sure, he was reaching out to us regularly with any information or tasks we needed to complete on a timeline. He was very organized and helpful throughout the entire wedding planning. He answered any questions or concerns we had promptly and always reassured us he had everything under control. We also really enjoyed the option to have our meetings via Skype to accommodate our busy schedules. He also uses a planning portal which makes it really easy to input your ideas & details for every possible thing you can think of. He really covers all the bases!! 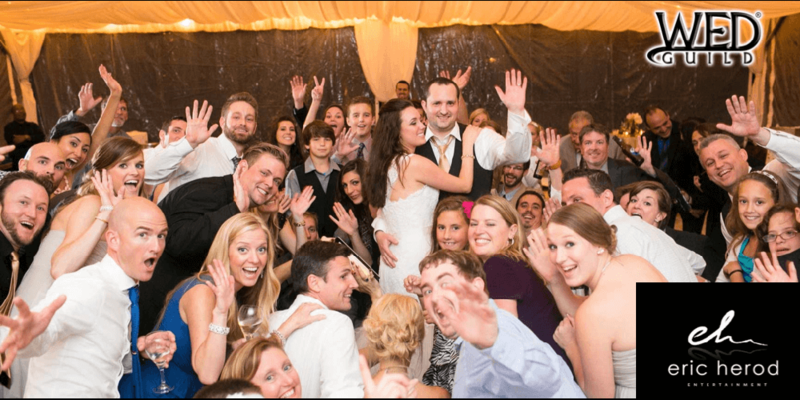 Eric will make your wedding night so much fun for everyone! Our best matches are energetic couples, willing to try something new. They love their friends and family, and they appreciate having fun, sharing their personalities, and want to use tears and laughter as fuel to bring people together. They are able to let go of control over their playlist because they trust Eric Herod Entertainment so intrinsically that they are confident that the music will bring the house down. A legendary wedding starts somewhere, and yours begins with selecting Eric Herod Entertainment. If you are ready to begin planning your reception, fill in the Contact Eric form today and we’ll plan a complimentary initial consultation to discuss your plans in more detail.